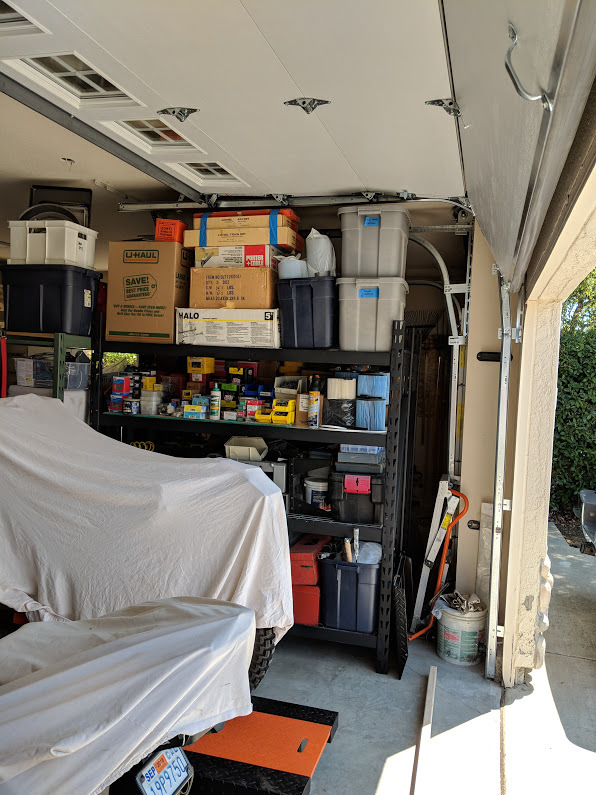 Our client, Brad, in Pasadena, CA wanted to install shelving in his garage as well as a car lift so he could work on his bikes comfortably in his residential garage. We installed brand new steel back insulated garage doors with dual pane glass for sound and temperature control. 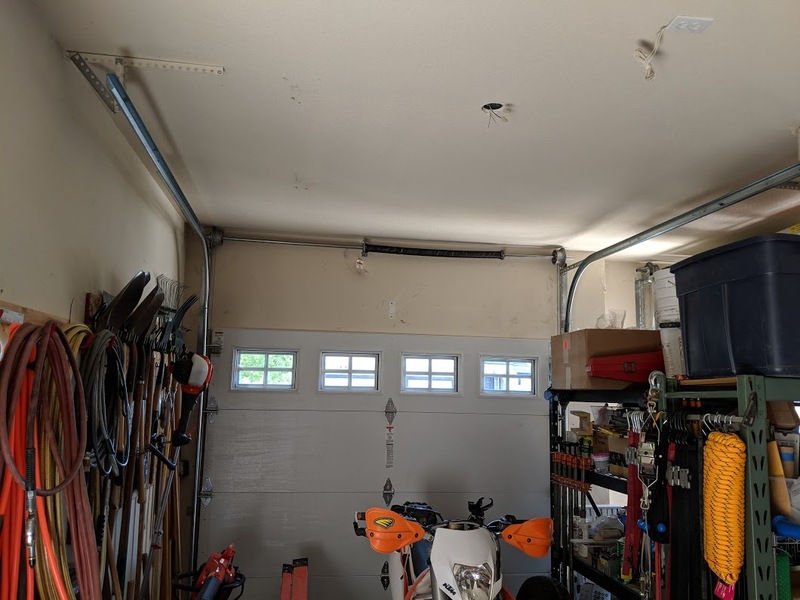 The key to getting more overhead space in the garage was raising the tracks up 33 inches. 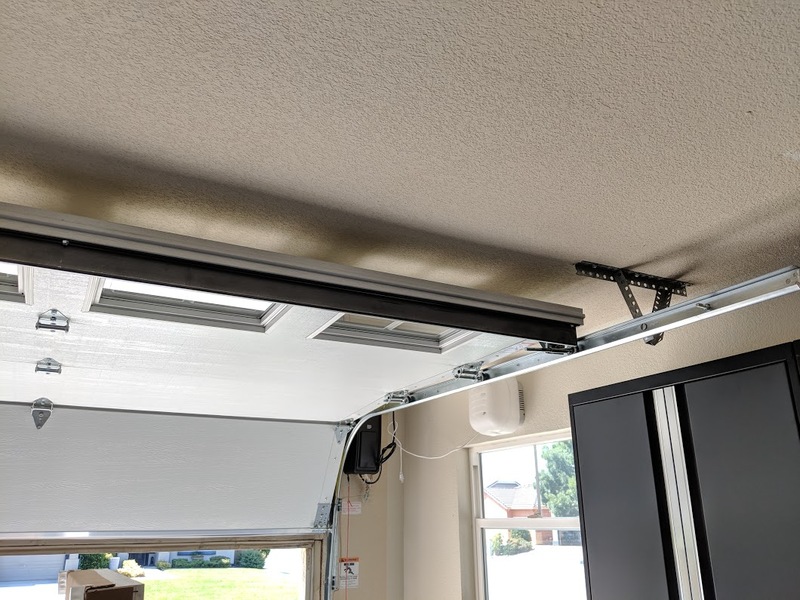 When tracks are raised to the ceiling, it’s not possible to install an overhead garage door opener since the door would hit it every time it opens. The solution for this is a LiftMaster Jack Shaft Opener 8500. 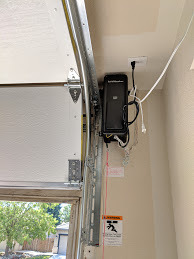 This garage door opener mounts to the wall of the garage, leaving the ceiling clear for the garage door to run fully on the tracks at the ceiling. You can see in the pictures below where the old and new tracks are and the height difference this achieved! Below you can really see just how close the door can get to the ceiling to allow for maximum clearance for a variety of needs. The new garage doors with an upper window panel really give this project a unique finish. The windows bring in some much needed light for Brad to work in his garage without the windows open. They are also decorative and look great from the exterior! The steel backed insulation will help to keep the garage cooler in the summer and retain heat in the winter. This is doubly important as Brad’s garage is attached to his home. 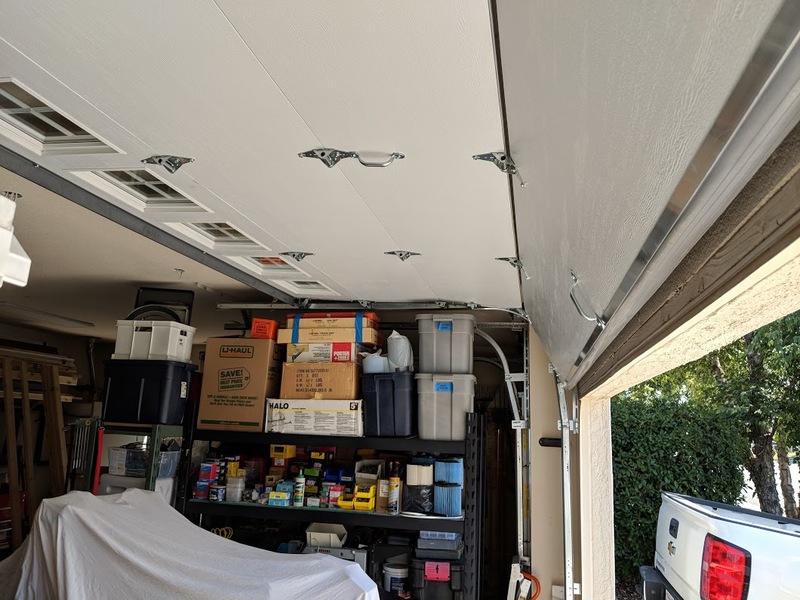 Insulated garage doors and garage walls help to keep the cooling and heating bills down for homes with attached garages. The best part is, Brad is thrilled with his new doors and new high light garage door setup. He has all the clearance he needs for all of his at home projects.